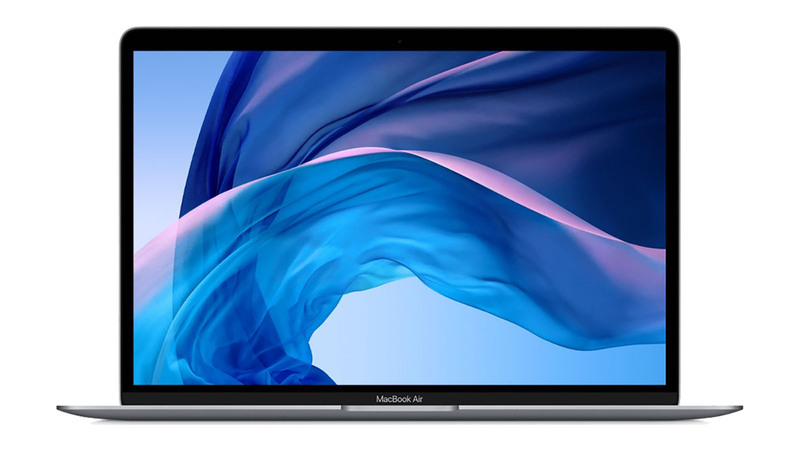 Updated in October, Apple's 2018 update to the MacBook Air gives the lightweight notebook quite a few new features, making it one of the best versions in the product line's history. The biggest change people will notice is the upgraded 13.3-inch display, complete with thin bezels and a Retina-level 2,560x1,600 resolution. Powering the MacBook Air is an Intel Core i5-8210Y processor clocked at 1.6GHz, rising to 3.6GHz under Turbo Boost, with options for 8GB or 16GB of LPDDR3 memory. Thanks to the use of two Thunderbolt 3 ports on the left-hand side, it can be graphically bolstered by an eGPU, though its integrated Intel UHD Graphics 617 is more than capable of using Thunderbolt 3 to support a 5K external display or two 4,096 by 2,304-resolution screens. The keyboard has been upgraded with the third-generation butterfly mechanism with individually lit keys, as well as including a Touch ID sensor for authentication and secure online Apple Pay transactions. The included T2 chip also enables "Hey Siri" on the MacBook Air, extending the utility of Apple's digital assistant on macOS. The built-in speaker system is 25-percent louder than the previous generation, with double the bass for a more dynamic range and fuller sound. Joining the keyboard is a 20-percent larger Force Trackpad at the front. Despite these changes, it is still offering all of the benefits expected of the MacBook Air name, with it taking up 17 percent less physical volume than its predecessor, and weighs in at a svelte 2.75 pounds, making it easy to carry from place to place. Battery life is also still high for the model, with its 50.3-watt-hour lithium-polymer battery claimed to offer up to 12 hours of wireless Internet browsing, 13 hours of iTunes movie playback, and up to 30 days of standby time. It is also a much greener product than before, with Apple using a new alloy completely made from recycled aluminum for the casing. The logic board also uses 100 percent recycled tin, while 35 percent of the plastic used in other components stems from consumer-recycled materials.